Too Black for “Meet the Press”? I’ve heard it said, and it makes sense, that the best way to find out what’s inside a person is to see what comes out of them when they’re under pressure. Stripped of his teleprompter and speechwriters, and faced with what looks to be an historic repudiation of his radical leftist agenda in the November elections, President Obama has revealed a level of condescension toward the general public that is greater than that of any president in recent memory. What is more maddening, however, is that the first black president has said some rather unflattering things about black people. His defenders will say that wasn’t his intent, but I doubt that a man who considered black people as his peers rather than his subjects would say the things he’s said. Let me ask you, gentle reader, the same question I posed to my online friends. Had it been Rush Limbaugh, Glenn Beck, Sean Hannity, Laura Ingraham, Sarah Palin, Michele Bachmann – I could go on, but you get my point – would the reaction have been the same? I think you know the answer to that. Margaret Sanger, the eugenicist and founder of Planned Parenthood, frequently spoke of blacks as “mongrels” and established her organization to help rid the world of its “mongrel peoples.” In fact, “mongrel” was a popular term among eugenicists, chief among them Adolf Hitler, who frequently decried the “resultant mongrel people” that came from the intermarrying of the races. Ouch. No way to dismiss that one. “Mongrel” was one of the more common words used by the Klan and white supremacists to describe the threat of interracial relationships and their offspring, and it is used by them to this day. The dictionary has many definitions for “mongrel” but this one best describes how people typically use the term: “Derogatory term for a variation that is not genuine; something irregular or inferior or of dubious origin (WordNet)”. Fast forward to this week, where President Obama has been traversing the country trying to bring back together the band he thinks secured him the 2008 presidential election – union members, young people and blacks. In fact, it was the independent vote that put him in office, and they’ve abandoned him in droves, so let him drum up support from his liberal coalition if he likes – it won’t save his Congress or his agenda going forward. But I digress. It’s bad enough that he insults the intelligence of black people by appealing to them for their support after essentially either ignoring them or insulting them – see “mongrel people” above. Now he finds himself between a rock and a hard place and, suddenly, he comes running to the black community to rescue him. 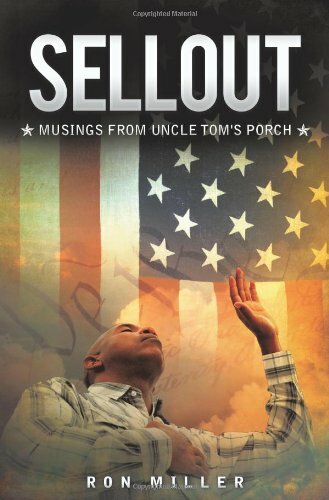 I wrote about a similar episode in my book, SELLOUT: Musings from Uncle Tom’s Porch. As a successful athlete and entertainer, O.J. Simpson had, in the eyes of many whites, transcended race. In fact, most blacks felt he had abandoned them. He never spoke out on civil rights issues like one of his NFL predecessors, Jim Brown. He spent more time on the golf course at the local country club than in the dilapidated gyms of the inner city. He divorced his black wife and eventually married a blonde, voluptuous white woman, yet another “trophy” representing his success. He didn’t confront or challenge anyone and he gave whites the cover they sought to profess their color-blindness and liberation from racism. Once he was accused of murder, however…Simpson himself recognized he had been abandoned by the society that had previously embraced him and he donned the full armor of racial persecution to win sympathy in the black community he had shunned. Blacks “took him back” in his hour of need and, as I indicated previously, his trial became their trial. This is what President Obama is counting on, that, as my mother always says, “Blood is thicker than water.” If he truly believes that, then he’s going about showing it in the wrong way. "The media is changing so rapidly that websites, like you guys do every day, do two things. Number one, it allows us to reach audiences that may not be watching Meet The Press. I’m just saying, it might be a different demographic." Hmmm. Now, before anyone leaps to his defense, this statement was captured on videotape and posted online by one of the black bloggers in attendance. Once they story broke, however, she was quick to delete the video from her site. Fortunately, another site preserved the video for posterity. Why would she take it down if she didn’t think it would be damning to the president? So we who bitterly cling to guns and religion (another Obama gem) aren’t the only ones who caught the inappropriateness of his statement. Why not? If these bloggers address current events, wouldn’t their audience be knowledgeable and sophisticated enough to watch other news programs about current events, like Meet the Press? What is it about that show that makes the president believe black people aren’t watching it? Or a better question might be, what is it the president believes about black people that leads him to the conclusion that they probably aren’t watching it? You certainly won’t get an answer from him, and Robert Gibbs is physically incapable of giving a direct answer to a direct question, so he won’t help us sort it out, either. I’m confident we can deduce his meaning based on his previous comments. From his infamous “clinging” comments about disgruntled everyday Americans in the heartland, to his general defense of his agenda as being perhaps beyond the general public’s comprehension, to his references to the “reptilian side of our brain” and our “tribal attitude” when confronted with adversity, he clearly thinks he’s smarter and more enlightened than you and me. He’s a elitist in the classic sense of the term. A few people may remember at one point during the 2008 presidential campaign, as I write in the book, “the Rev. Jesse Jackson…angrily threatened to ‘cut [Obama’s] ___ off’ because he felt Obama was talking down to black people on the issue of fatherhood.” I don’t often agree with the Rev. Jackson, but maybe he was on to something. I’ll bet he watches Meet the Press.